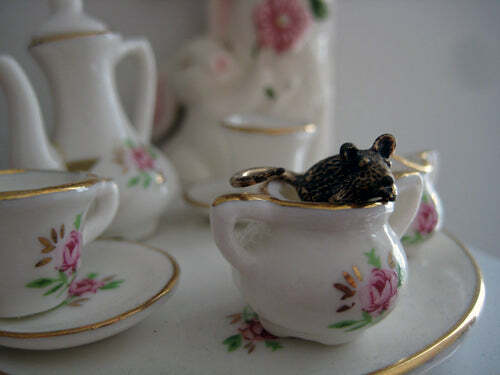 Here are some photos from some little shelves in my studio, where I keep little treasures. 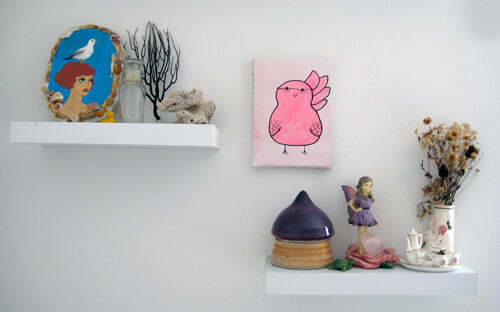 The pink bird painting in the middle is by my friend Nancy. The piece of pottery underneath it was also a gift, I wish I knew the artist, doesn't it look like a little fairy house? 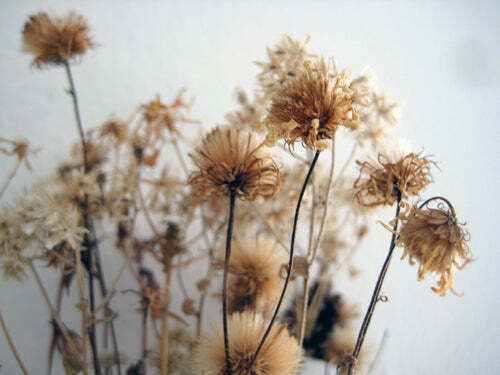 I love to pick wildflowers, and I don't think they ever lose their beauty even as they dry out. I tend to keep them around for a very long time. I have had these for a few years at least. 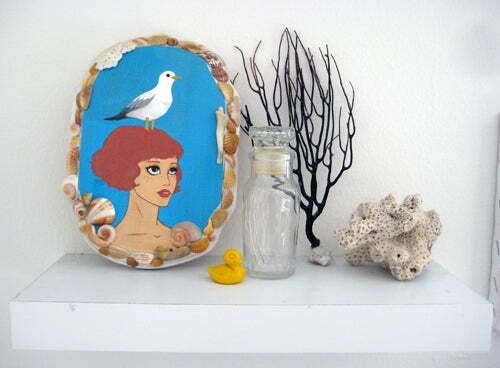 The painting with the girl and seagull below I did last year while camping near the beach. I collected shells on the beach to frame the painting. 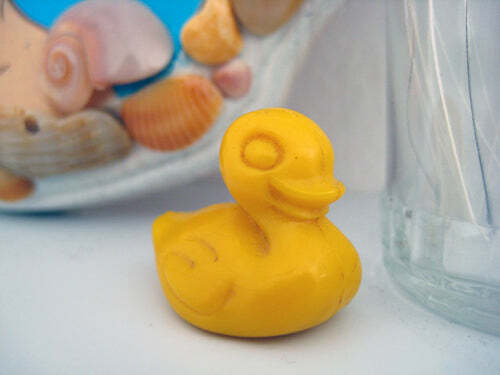 The coral I've had since I was a kid, I always collected a lot of nature items. I'm surprised the delicate black one has survived and is still intact.